ONE28 King Street Condos is a new condo development by CTN Developments currently in preconstruction at 128 King Street North, Waterloo. The development is scheduled for completion in 2020. 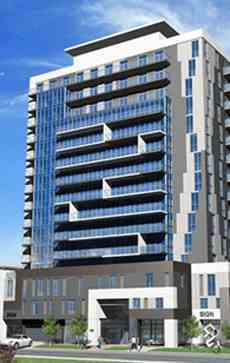 ONE28 King Street Condos has a total of 120 units, sizes range from 536 to 959 square feet. - Walkscore of 94/100 (among the best in the tricity area). - Steps to Waterloo University and Wilfred Laurier University Campuses. - Next to the new Waterloo LRT! - Walking distance to shopping and amenities in Waterloo. Architect : Hatem Nassif Architects Inc.